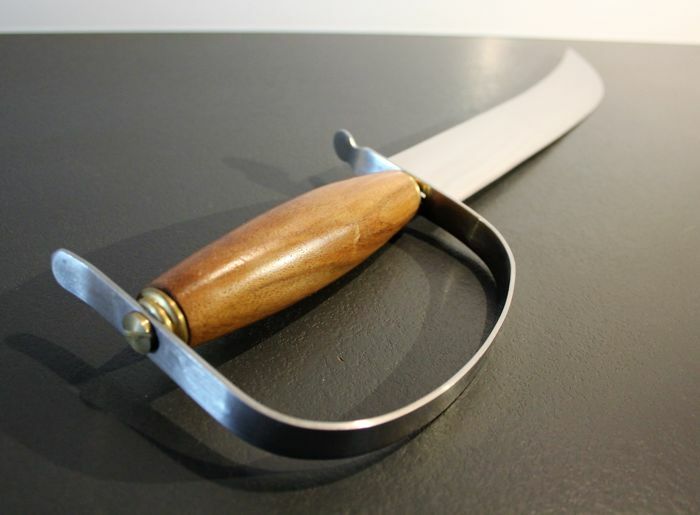 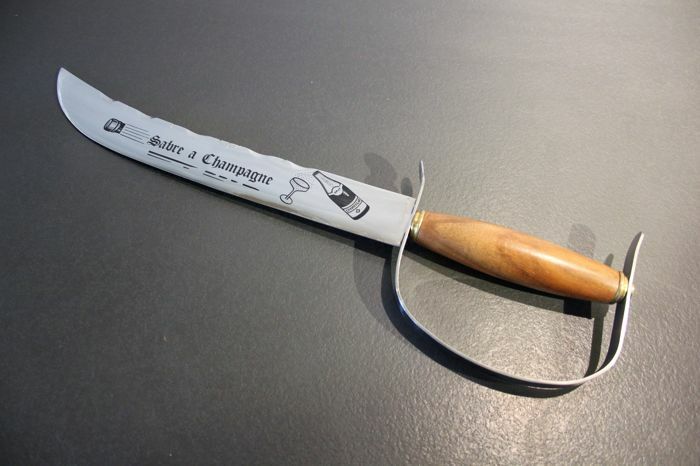 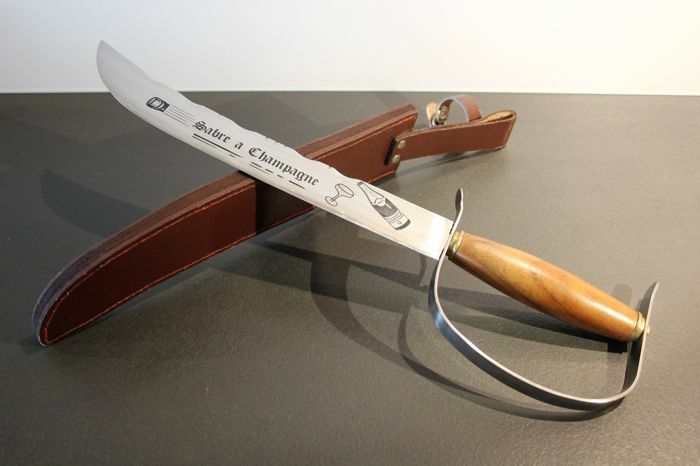 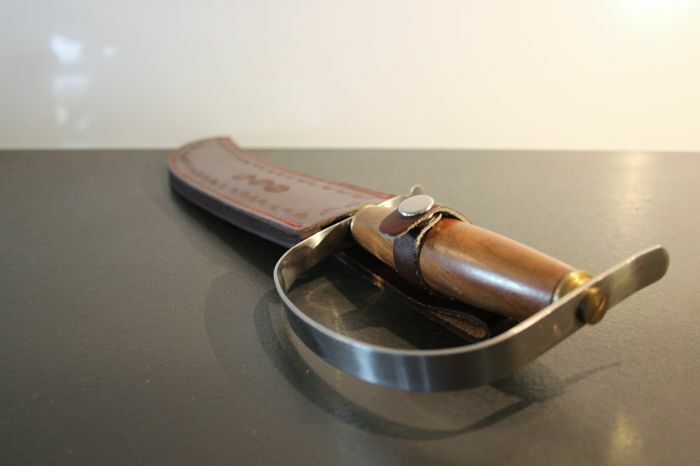 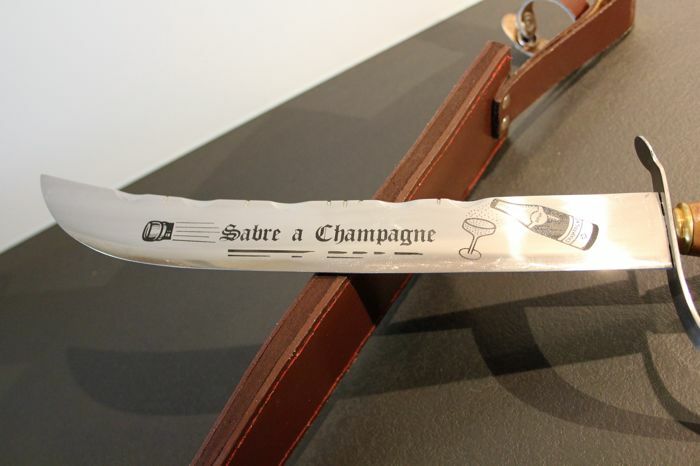 Champagne Sabel, artisanal French manufacture with original leather sheath. 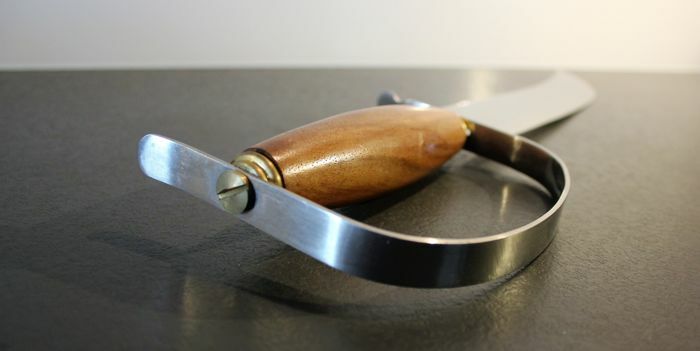 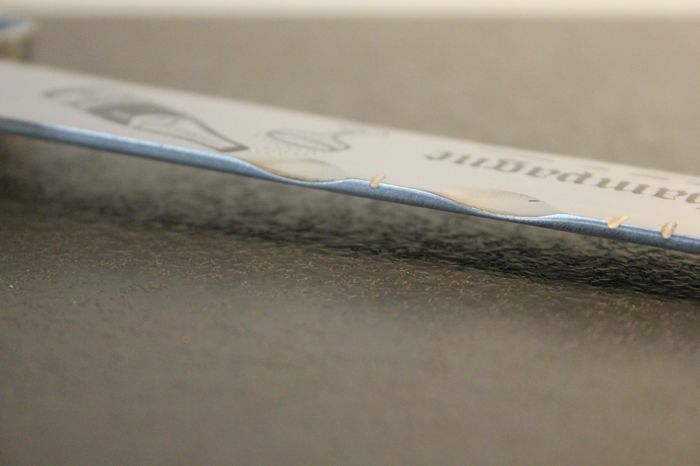 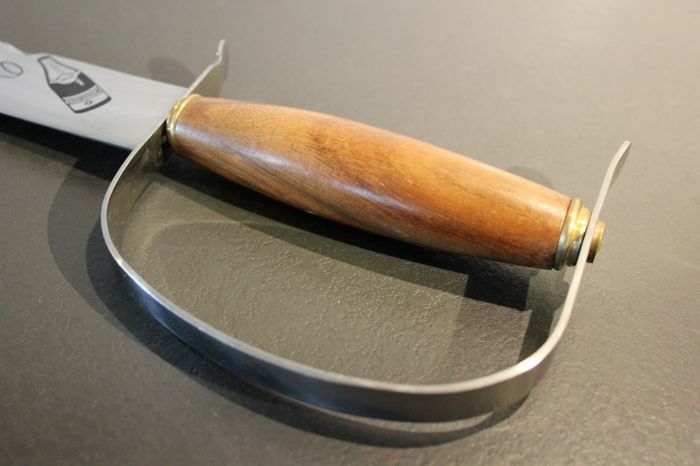 Knife: total length 43 cm, blade length 28,5 cm, blade width: 3,5 cm. 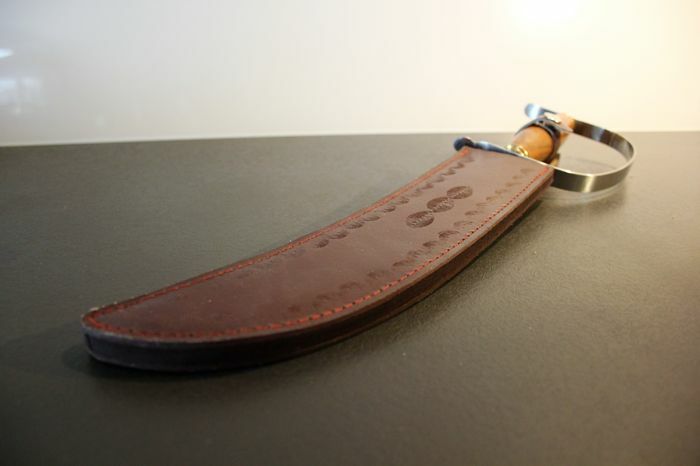 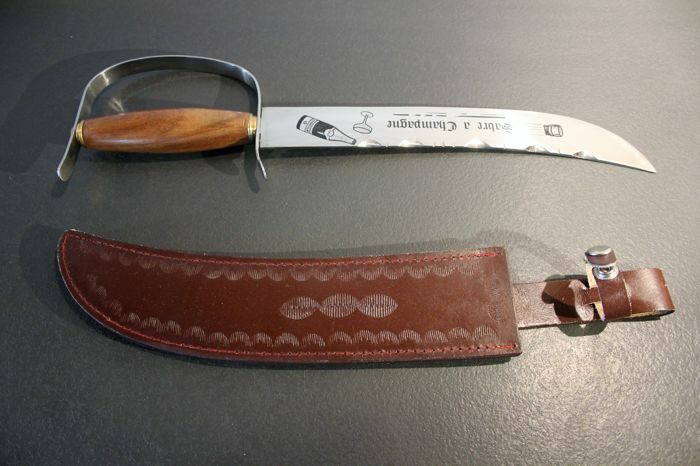 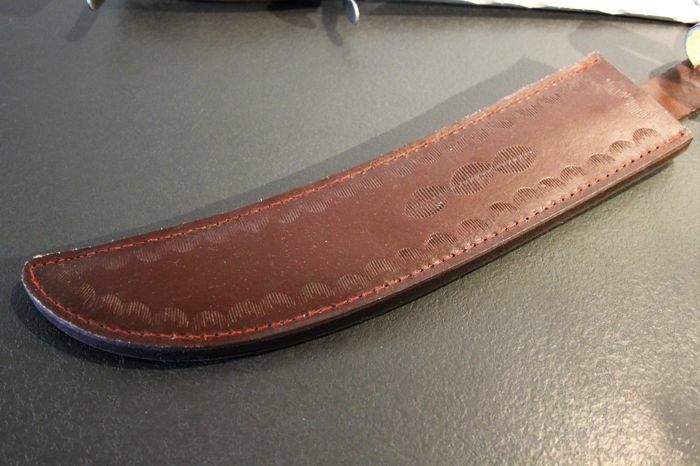 Leather sheath: length: 42 cm. 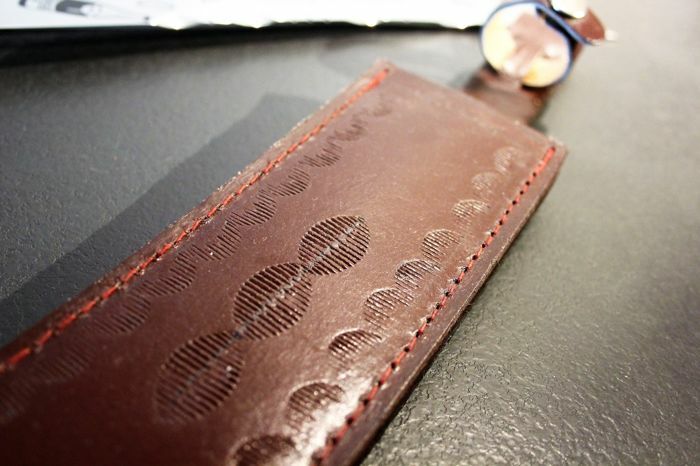 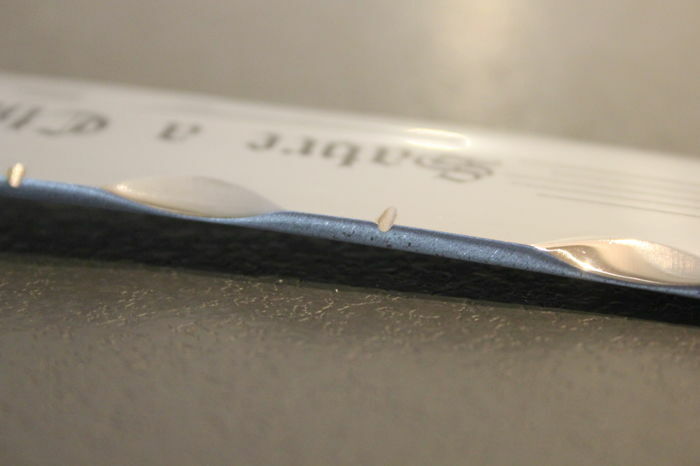 Meticulous shipping with signature required upon delivery.